The finest quality Ground Ginger. Ginger is a tuber which is consumed whole as a delicacy medicine or spice. It is the rootstock of the plant Zingiber officinale. It lends its name to its genus and family (Zingiberaceae). Other notable members of this plant family are turmeric cardamom and galangal. Ginger cultivation began in Asia and is now also grown in India West Africa and the Caribbean. It is sometimes called root ginger to distinguish it from other things that share the name ginger. Young ginger rhizomes are juicy and fleshy with a very mild taste. They are often pickled in vinegar or sherry as a snack or just cooked as an ingredient in many dishes. They can also be stewed in boiling water to make ginger tea to which honey is often added; sliced orange or lemon fruit may also be added. Mature ginger roots are fibrous and nearly dry. The juice from old ginger roots is extremely potent and is often used as a spice in Indian recipes and Chinese cuisine to flavor dishes such as seafood or goat meat and vegetarian cuisine. Ginger acts as a useful food preservative and has been proven to kill the harmful bacteria salmonella. Fresh ginger can be substituted for ground ginger at a ratio of 6 to 1 although the flavours of fresh and dried ginger are somewhat different. Ginger is also made into candy. 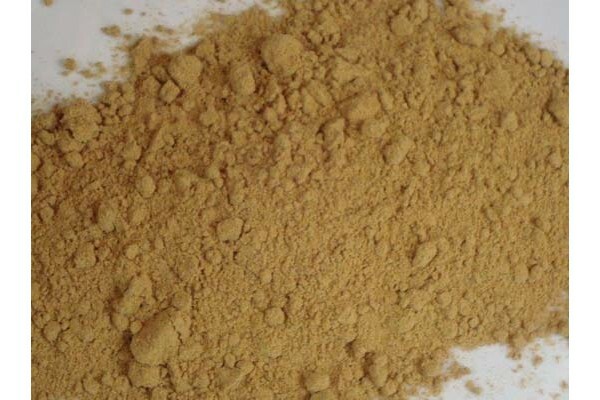 Powdered dry ginger root is typically used as a flavouring for recipes such as gingerbread cookies crackers and cake ginger ale and ginger beer. Fresh ginger may be peeled before being eaten. For storage the ginger can be placed in a plastic bag and refrigerated or frozen for longer term storage.